What better way to celebrate my forty years on Royal Street than to host a group show of all my fabulous artists in my equally fabulous Angela King Gallery, our home now for well over ten years. 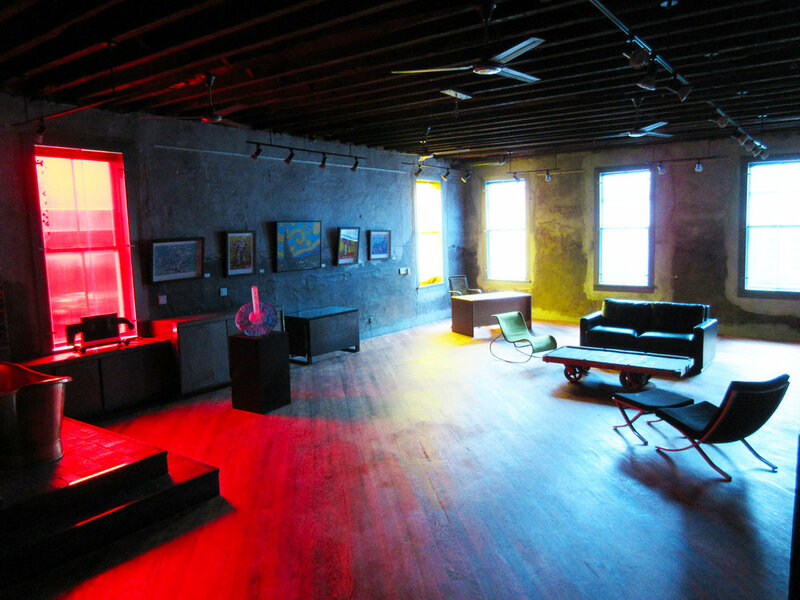 I take great pride in both our artists and the gallery. 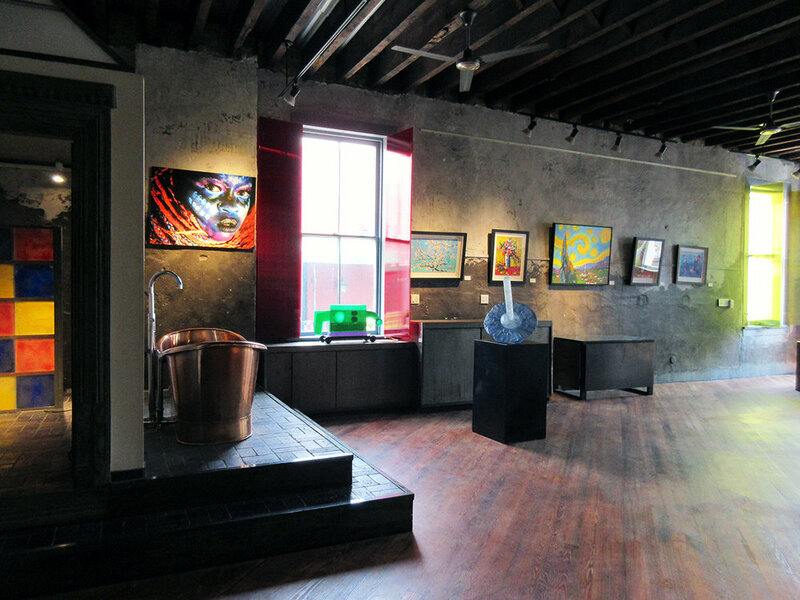 The gallery is a perfect setting for contemporary art. With its broad windows, fourteen-foot ceilings, and floors of 1860 Italian marble paired with modern blond wood, the space feels fresh and resonates with light. It has been one of my enduring passions, because it has allowed me to share my personal life in art with artists and lovers of art year after year. During these forty years, I have exhibited over two hundred artists and held over five hundred events open to the public. At this time, the gallery shows around twenty-five accomplished artists, working in a wide variety of media — oil, acrylic, fiberglass, aluminum, lenticular photography, glass, bronze, steel and clay. We continue to present a range of styles for our collectors: abstraction, realism, fantasy, surrealism, pop, expressionism, and some that defy categorization. Many of my artists were already famous and collected when I began with them, and some were emerging and I helped to grow their careers. My goal has always been to seek out and make available excellent art for fellow art lovers and to provide a wonderful, stimulating and enriching gallery for all to enjoy. When I started as a gallerist in the early nineteen seventies, living artists were not widely known to the general public outside the major art centers of New York, London, Paris and Rome. Over the years, my galleries played a part in making contemporary art appreciated and available everywhere interested collectors live. For forty years, it has been my pleasure not only to exhibit art but also to bring collectors and artists together to share their experiences. I am thankful for all the artists and art lovers who have made this effort so completely fulfilling.